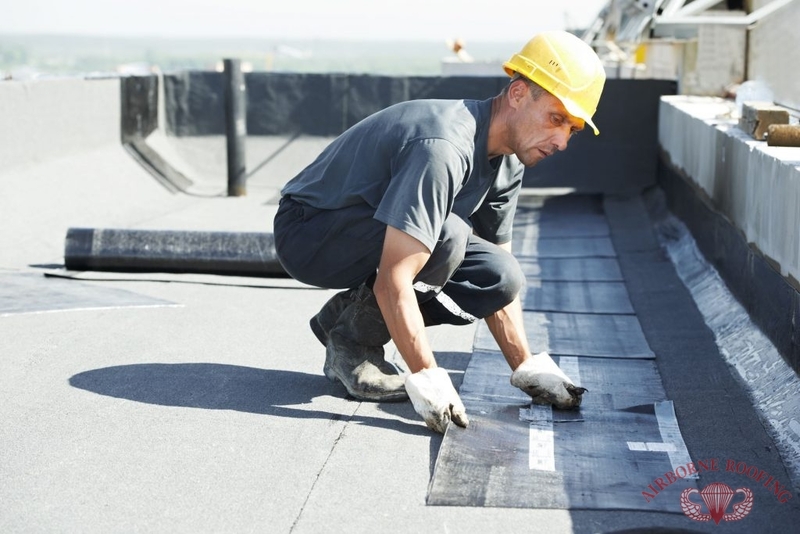 For Expert, Quick Flat Roof Repair Services, Contact Airborne Roofing. A slightly sloped roof, or a “flat roof” as it is known as, is a type of roofing structure to help prevent against ponding water from seeping inside the commercial property and causing cracks and damages within the foundation. 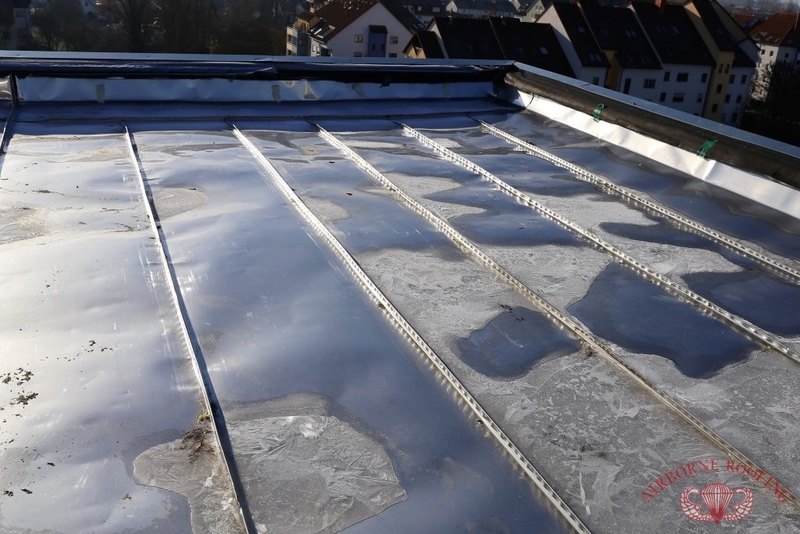 While they are very durable and are one of the most used types in commercial roofs, adding on to the flat roof without seeking repairs will only harm the overall structure and membrane which causes early aging and costly damage. Has a leak started in the ceiling of your building after a recent storm? Is the roof membrane experiencing ponding water or has a cracked surface? You could be in need of a flat roof repair. Contact us (856) 662-1382 for our expert flat roof repair services in Berlin and Cherry Hill, NJ. It’s important for those in a commercial property to check their flat roofs regularly to see if any water or debris has accumulated, which can also collect additional moisture that can be harmful to the roof. A flat roof repair becomes necessary when moisture starts seeping through cracks or damaged areas of the roof membrane. What If I Have Additional Damage? With Airborne Roofing, A Flat Roof Repair Can Last Your Commercial Roof For Years. The membrane your roof is composed of makes a big difference in the type of repair it will receive. In the event that after a flat roof has been assessed and the roofer sees there is significant damage that would require a re-roof, we can help you with that too. A repair is recommended and becomes a necessity for offices that experience severe weather and go under physical stress more than others. With a properly, professionally handled flat roof repair service from Airborne Roofing, we prolong your flat roof and keep the structure of your space intact. Your roof is vital to your office and work, why put repairs off when you start to experience problems? Contact us (856) 662-1382 for your flat roof repair service in Berlin and Cherry Hill, NJ. Always affordable and fully insured, we’ve been serving South Jersey since 1968! Updated on September 21, 2018 at 2:36 pm by Airborne Roofing.